Want to win this Miu Miu Cardholder??! 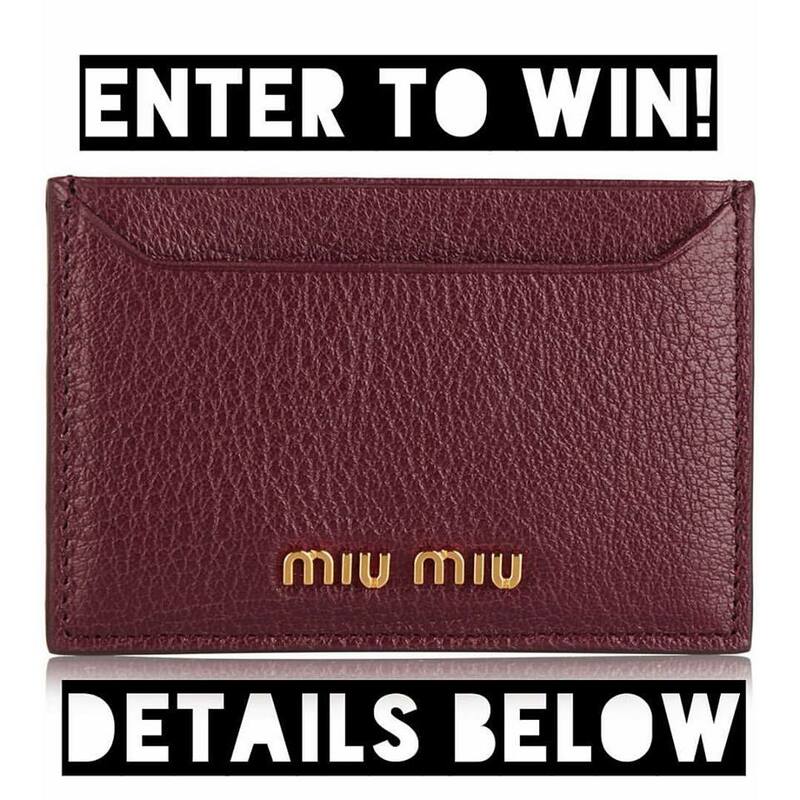 Brand new Miu Miu Burgundy cardholder up for grabs! To thank all you people for your support I am running an Instagram competition for the month of September-October. 2) Choose your favourite photo from my page- repost it with a caption to explain why it is your favourite! There is no limit on number of entries! The winner chosen will be based on fulfilling the above criteria and creativity of photo caption! Entries close 6th of October 12am EST. Winner will be announced on the 8th of October 2015! Disclaimer: Per Instagram rules, we must mention this is in no way sponsored, administered, or associated with Instagram, Inc. By entering, entrants confirm they are 13+ years of age, release Instagram of responsibility, and agree to Instagram’s term of use. Winter Essentials: My Favourite Cape!